Sixteen thousand runners are compete in the annual Wharf-to-Wharf Race from Santa Cruz to Capitola. 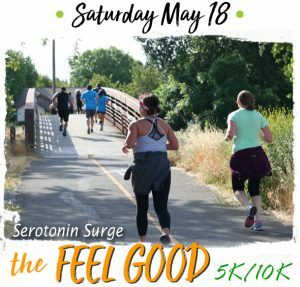 Athletes from across the country and around the globe – as well as local runners – participate in this fun, spirited event. Enter the race and test your mettle, or join in on the sideline and cheer on the runners! This six-mile seaside run takes racers past scenic vistas, enthusiastic crowds, and rocking local bands. Held the fourth Sunday in July, the race begins at the Santa Cruz Wharf and ends at the Capitola Wharf in Capitola-by-the-Sea. Stay afterward and soak in the lively atmosphere in Capitola Village where you can celebrate and join the end-of-race party! The 47th Annual Wharf to Wharf Race is happening on Sunday, July 28th, 2019.